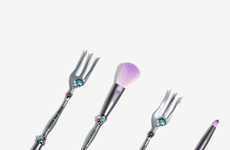 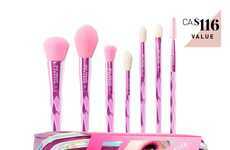 Makeup brush shapes are typically determined by the kinds of products that they are to be used with but Couture by Cosmogen introduces a new kind of concept that also considers the various parts of the face. 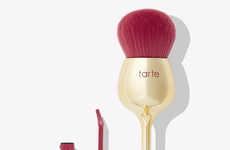 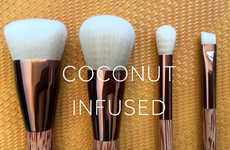 While brushes that provide full coverage for the entire face are generally larger and those that help to apply finer details are generally smaller in size, Couture by Cosmogen updates the conventional foundation, blush, concealer, eyeshadow, eyebrow and lip brushes with shapes that have been precisely sculpted to fit different parts of the face. 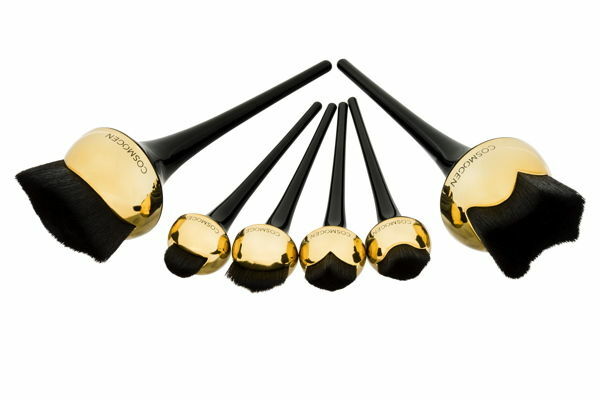 The synthetic bristles of the brushes are paired with handles that can be created in a variety of matte, shiny, sheen or pearly finishes.